The answer is quite a lot simpler than you’d think, and the best way to sell a business involves only one step. Before we tell you what that step is, though, let’s take a look at some of the common questions people ask about this topic. Are there rules governing how to sell my business? Yes, there are. There are many rules that can affect how, when, where and to whom you can sell a business. Selling any business to a minor, or to a person sufficiently mentally ill that would make such a sale be regarded as an abuse due to diminished capacity. Selling a licensed business to a person who does not hold the appropriate license or would not be eligible for the license (transferring a license to a qualified but unlicensed person can take up to 12 months to complete). 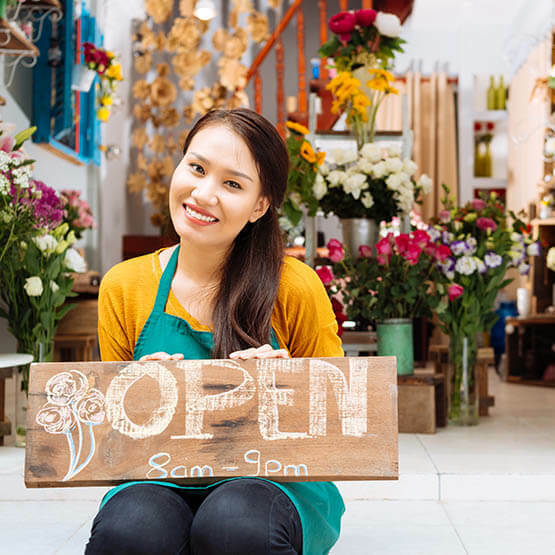 You should also know that after selling your business, you may be subject to “restraint of trade” provisions, which basically means that you can’t start up a new business in the same area that competes directly against the business you just sold. The larger the business is that you sell, the more complicated the laws governing what you can do before, during, and after the sale become. Can you tell me how to sell my business? Selling a business in Melbourne isn’t extremely different to selling a business anywhere. The exception is for small businesses valued at $350,000 or less, where a special Victorian law requires completion of a Section 52 Statement. Otherwise it is simply a matter of common sense. Get your business in order, make sure it is well presented, and continue running it to the best of your ability until it is sold. This will make your business attractive to buyers. What’s the best way to sell a business? At the beginning of this article, we told you there was just one simple step to selling your business, and now it is time to reveal the answer. It is as simple as contacting Trident Business and Corporate Sales, a top business sales agency in Melbourne. Our business brokerage service has been providing the answer to “How do I sell my business?” for years, always providing the highest quality of service to our satisfied clients. People sell businesses for many reasons, and the circumstances are not always identical. Where Trident Business and Corporate Sales excels in business brokerage is that we understand the needs of buyers and sellers. We go above and beyond to meet these needs, and we always achieve our goals. Most business owners are rightly proud of their business and generally believe its potential sale will be a relatively straightforward and quick process. That’s rarely the case and you need to be fully prepared if it is to go through reasonably well. Selling a small business usually takes a minimum of six months but, in reality, the process should start long before the ‘For Sale’ sign goes up. It’s best to have an exit strategy right from the outset because that will give you the best chance of a quick and profitable sale when the time comes. For every decision you take and everything you do, you should have at least some thought about its effect on the question of ‘how do I sell my business?’ in the future. You need to ensure at all times that your books are in order, there are no outstanding and unsigned contract issues, disputes are settled and overdue debts are paid. That gives prospective buyers a view of a good and well run business that is likely to have few problems. If you ask ‘How can I sell my business?’, a simple answer is to make it one that buyers will really want. Try to create a business that has some unique selling points — products and services that competitors don’t have, niche business, intellectual property rights that are protected by patents — so it’s more attractive to buyers. Also ensure the business isn’t totally reliant on you to succeed; if it is, it’s worth less without you, so create a strong team, effective and well-documented procedures and a solid business model. Don’t have complications that will make the sales process difficult and more likely to fail. Be aware of the finance options that buyers may require to fund the deal and make sure you are in a position to sell the business without needing the consent of any third parties. If the deal relies on a supplier, landlord or other party giving their approval, this will at best delay matters and at worst may kill the deal. At all costs, always avoid the situation where unfortunate issues emerge at a later stage since this will destroy the buyer’s confidence and trust, and may put the whole deal at risk. Check thoroughly to ensure there are no potential problems hiding away and be as honest as possible throughout the process. Combined with thorough preparation and the help of the expert team here at Trident Business and Corporate Sales, you can ensure a speedy process, a favourable outcome and the best way to sell a business.